The days are dreary and cold and there isn’t much growing in the garden. Perhaps this is Mother Nature’s way of giving rest to the weary gardener after the hard year just past. I find this sounds great during the holidays but come New Year and I am itching to do something in the garden again. Here in Charlotte, NC (USDA 7b) we are blessed to enjoy relatively mild winters. We may have a few days of snow but nothing that sticks for longer than a day or two. 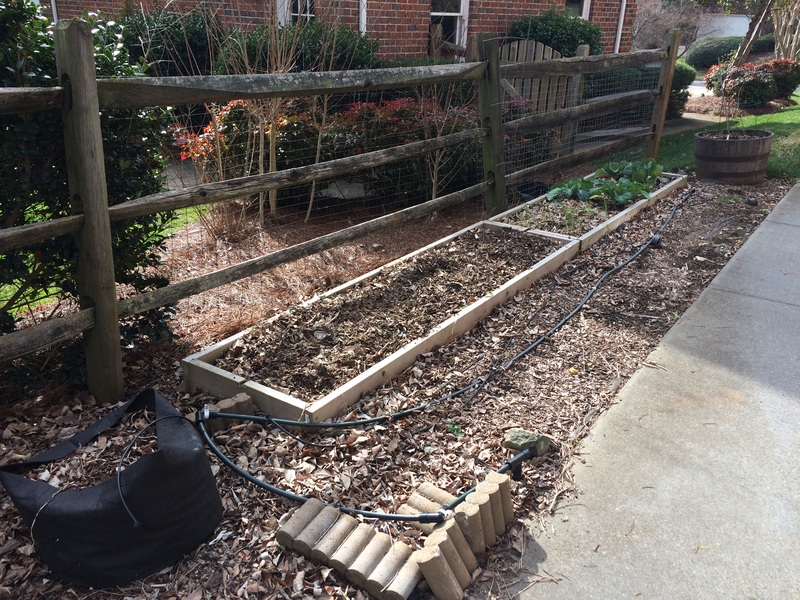 Our ground doesn’t freeze either which means that Winter is the perfect time for us to be preparing our garden beds for the upcoming growing season. My sad and weary Mid-Winter vege garden; deflated potato pot in the foreground, empty raspberry barrel in the back. Clean out anything dead or diseased. Compost the dead leaves and spent remains of the vege garden but do NOT throw anything diseased in the compost. You don’t want the virus spreading through the rest of your garden. Dispose of it in the municiple trash instead. Add compost to replenish and revitalise the garden. Doing it mid-winter gives it time to mature and season so will be ready for Spring planting. While you are there turn your vege garden soil over to refluff and to seive out any roots that remained behind after the old plants were removed. Wrap young fruit trees in burlap to protect them from frost and cold (fig, pomegranate). Once they are established the winter shouldn’t bother them anymore. If you are not planing a winter garden plant a cover crop such as winter wheat or clover. Cover crops convert nitrogen gas in the atmosphere into soil nitrogen that typical vege garden plants can use next season. 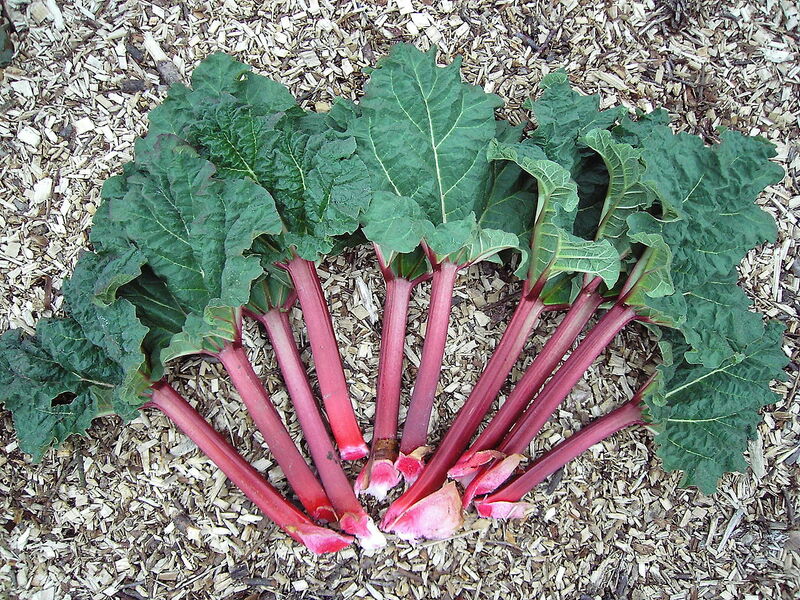 Transplant or divide larger plants or perennials such as rhubarb and artichoke. Winter is generally a good time to transplant as plants are already dormant and it reduces transplant shock. “Rheum rhabarbarum.2006-04-27.uellue” by Dieter Weber (User:Uellue) – own work, photo taken in a private garden in Kiel. Start planning for the coming growing season and dream. Order catalogues. Think about what you want to grow. What did well last year? Did your family actually eat what you grew or did they refuse it? Order seeds now. Think about your hardscape plans. Do you need more space? Do you need new beds? Want some chickens this year? Now’s the time to build that coop in preparation for the Spring chicks. Check your systems. Did your irrigation system work well? Are there cracks or leaks in your water barrel? Does anything need adjusting before the new growing season? Once plants are in the ground hardscape adjustments can be difficult. Raise seedlings indoors to get a head start on Spring plantings. Make repairs to gardening tools ahead of new Spring season. Naval Jelly, steel wool and elbow grease will bring your rusty tools back to a brand new shine. Make a note of any that need replacing. BONUS: Think about putting out some bird feeders and birdbaths to help our feathered friends through the cold winter months. 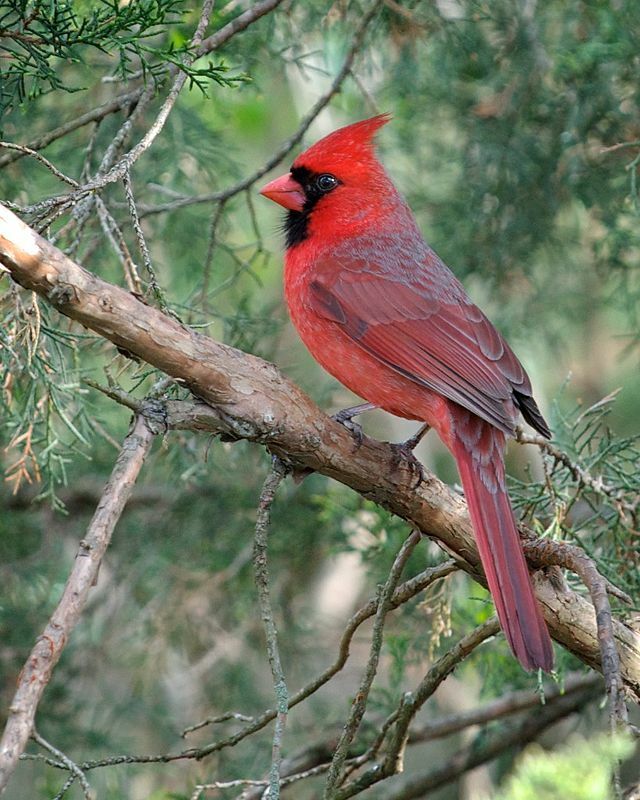 The cardinals and blue birds have recently returned to my garden and it is so nice to see their bright colours flitting around the glum garden. With a little forethought and planning your efforts now will pay dividends when the busy Spring planting season rolls around. And above all enjoy your garden! There is still much to learn and see even during its quiet and still season. Thanks for linking to my post. Always nice to meet like minded people. Have you been involved in organic gardening long?